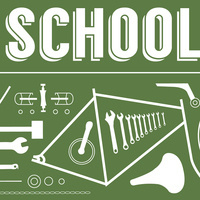 Learn the joy of fixing your own bicycle with in-depth instruction in the UO Bike Program DIY Workspace. This six-session course will teach you to repair and maintain a standard road, mountain, or commuter bike. Featuring instruction from Bike Program Mechanic Sam Miller. Community members will also need to purchase an OP Membership in order to paricipate; $25/year for OP Membership and a one-time "UO Community Card" for $10.